For generations, J.R.R. Tolkien's words have brought to thrilling life a world of hobbits, magic, and historic myth, woken from its foggy slumber within our minds. Here, he tells the tales is his own voice. 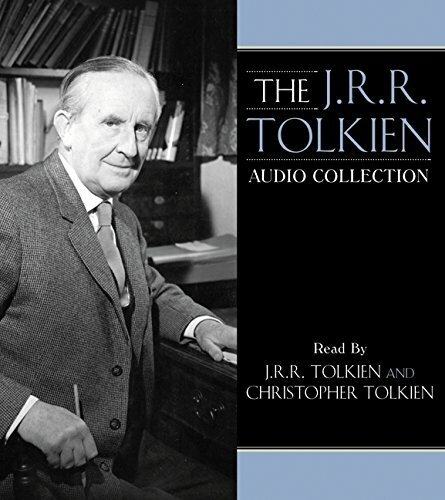 Of historic note, these selections from The Hobbit and The Lord of the Rings are based on a tape recording Tolkien made in 1952, which inspired him to continue his own quest to see his vision in print. Also included is a never-published poem, "The Mirror of Galadriel," originally intended for inclusion in the trilogy, yet edited out. And, finally, Tolkien's son, Christopher, reads selections from his father's The Silmarillion, the epic foundation upon which rests the whole of his work. If you have any questions about this product by Brand: Caedmon, contact us by completing and submitting the form below. If you are looking for a specif part number, please include it with your message.